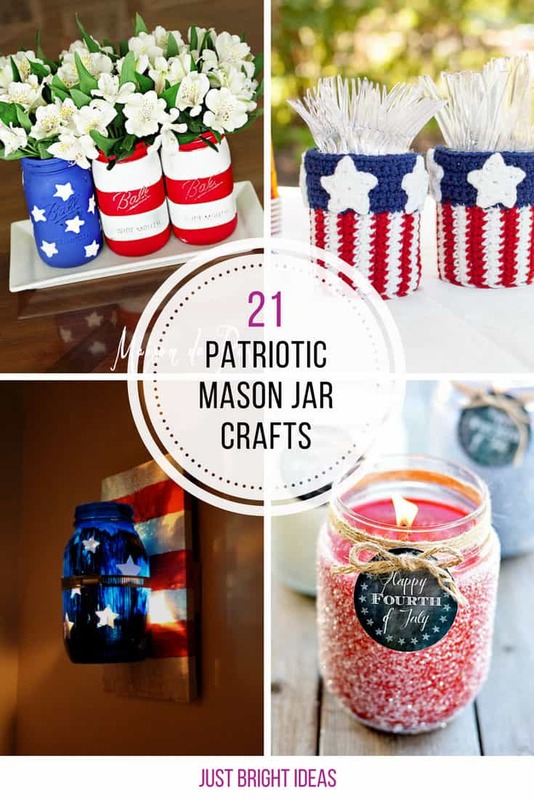 You are going to be spoiled for choice by these fabulous patriotic mason jar crafts that you can use to decorate your home. 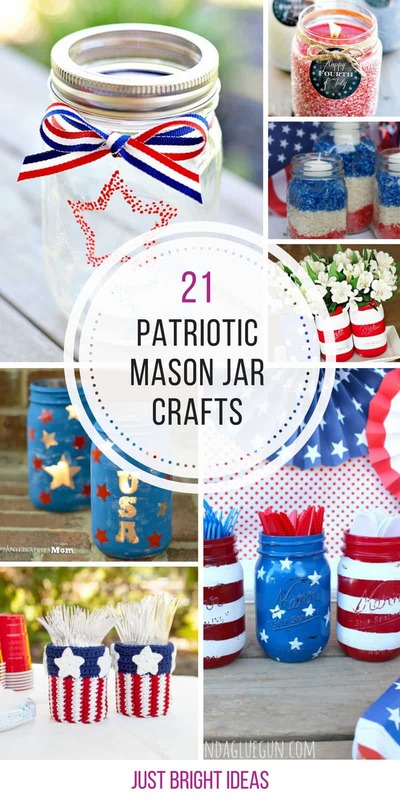 We love mason jars and if you do too you are going to be super excited about our collection of Patriotic Mason Jar Crafts! 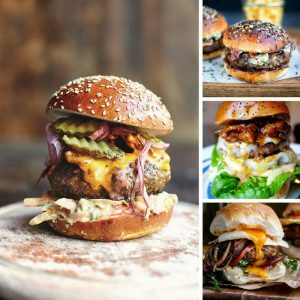 We’ve scoured the internet for the best ideas and pulled them all together of you here. 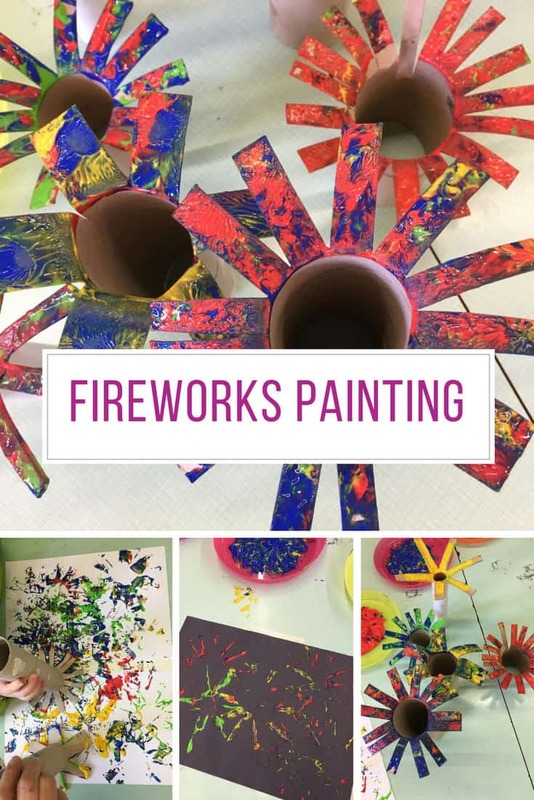 Don’t forget to scroll to see all the ideas and be sure to pin your favourites! 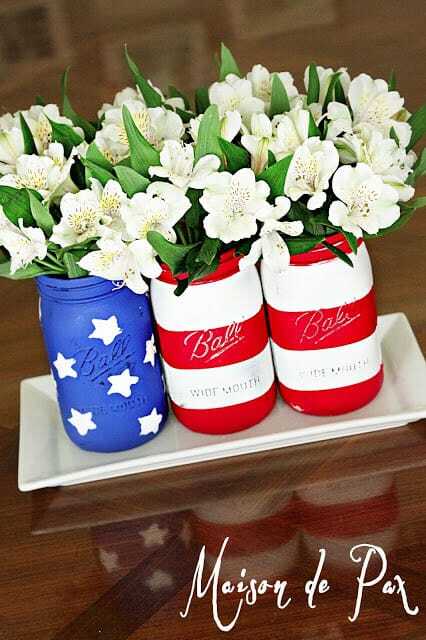 For a classy centrepiece paint your mason jars and then add some beautiful flowers. 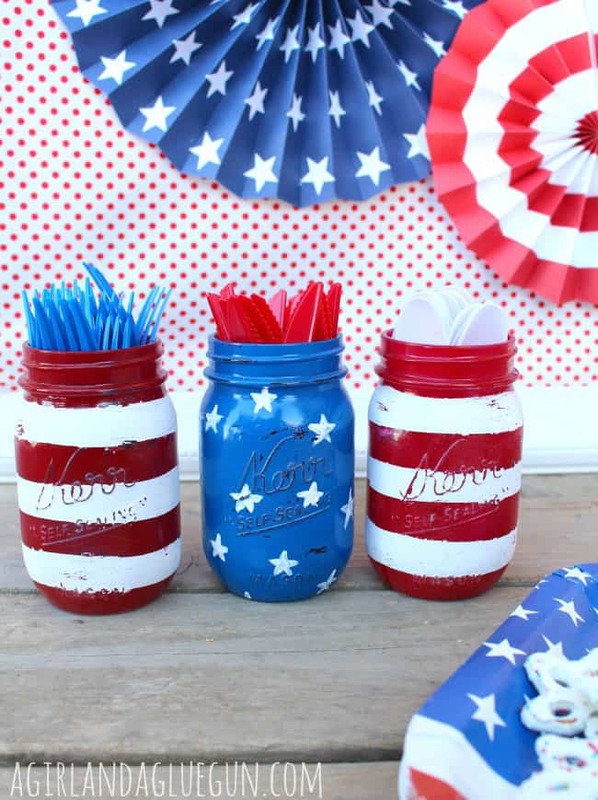 If Sharpie markers are your guilty pleasure put them to good use in this patriotic mason jar project! 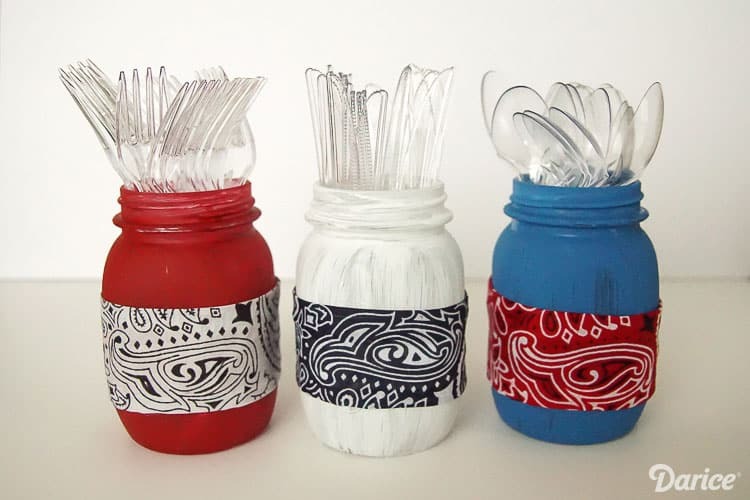 If your ribbon stash is empty grab some bandanas instead! 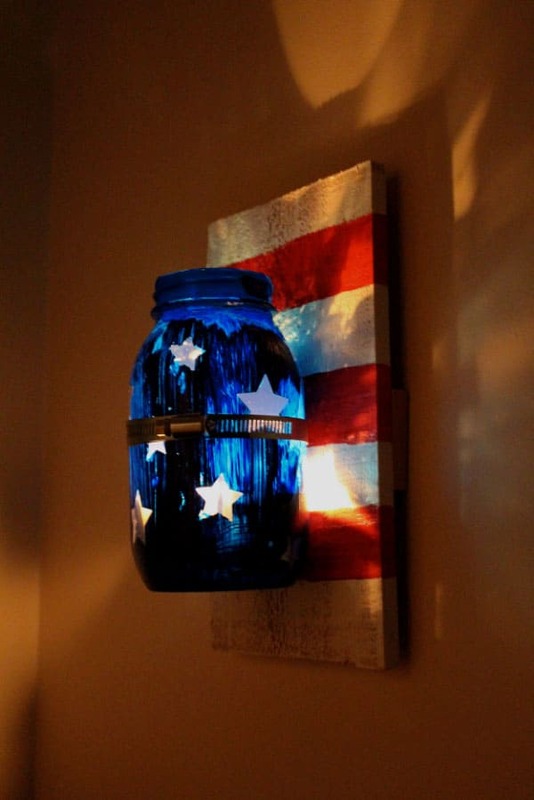 This looks amazing – and was really easy to make. 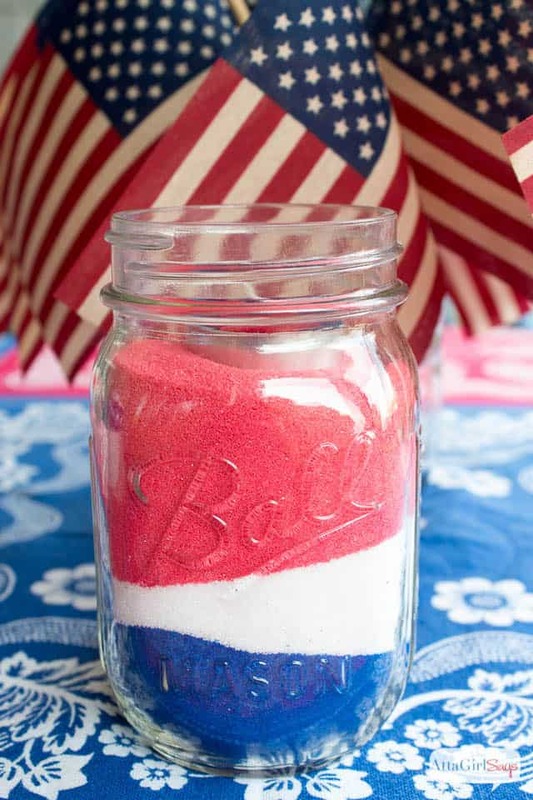 Get the kids involved making some patriotic sand art for your 4th of July celebrations. 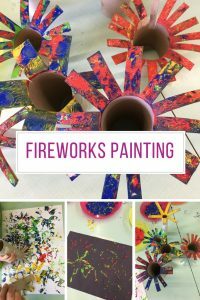 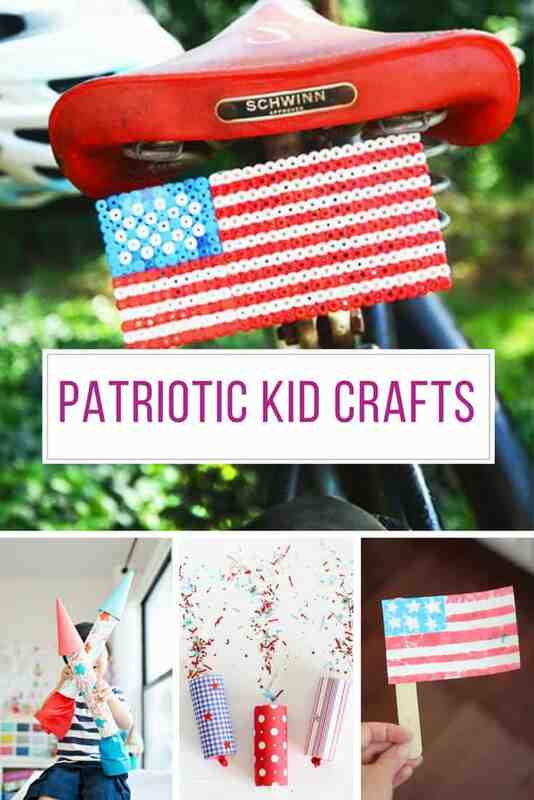 Want more 4th of July kid crafts? We have loads more ideas that you are going to love in our ==> Patriotic Crafts for Kids collection! 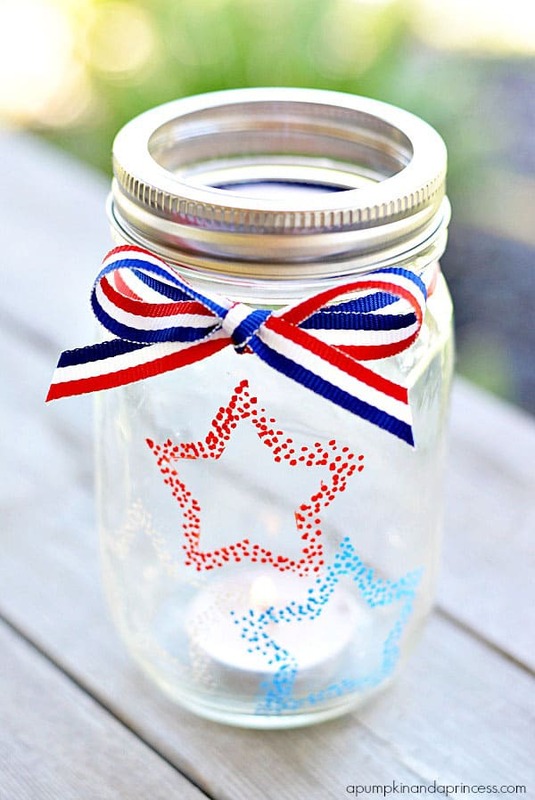 Light up your party with this patriotic mason jar centrepiece which is super easy to make and looks amazing! 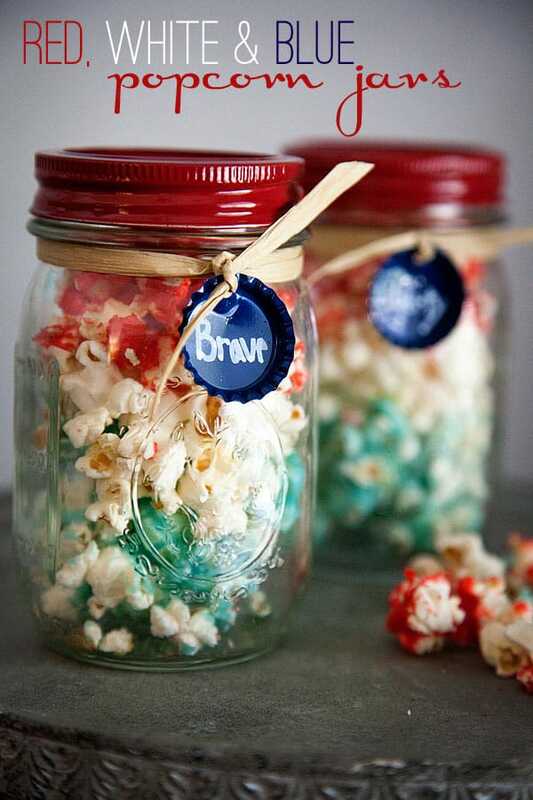 No one said your patriotic mason jar crafts couldn’t be edible right? 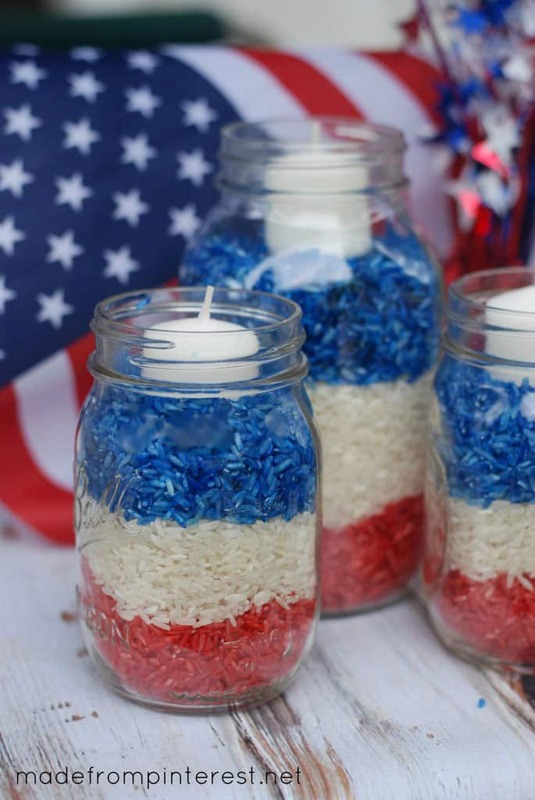 Want more food ideas for Memorial Day weekend? 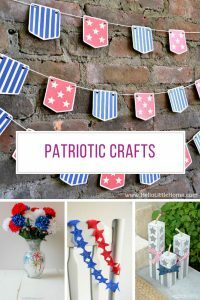 We have loads more ideas that you are going to love in our ==> Patriotic Recipes collection! 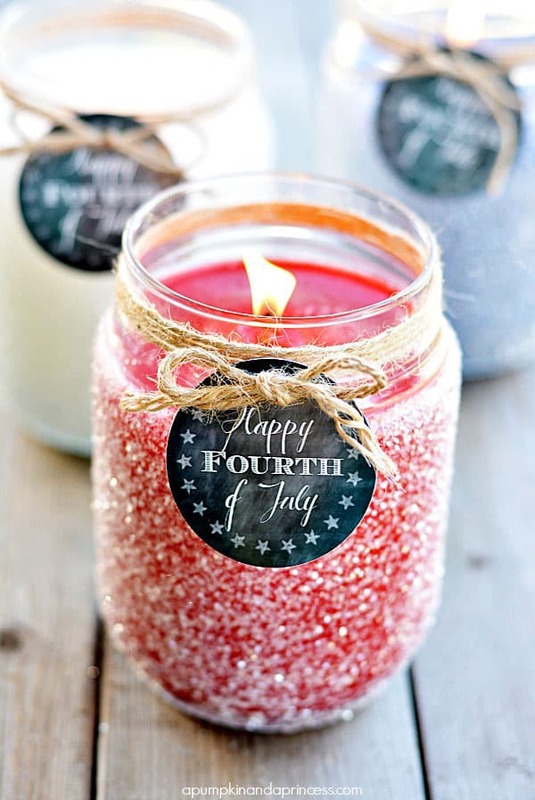 Bring on the glitter and the Mod Podge! 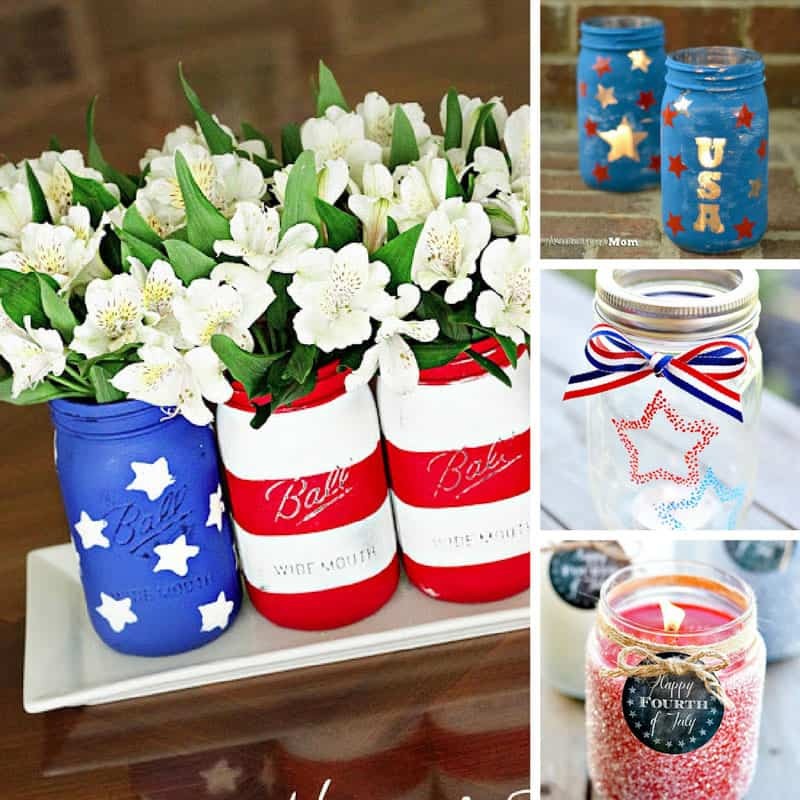 Mix and match your stars and stripes to make a great set of patriotic jars for your party table. 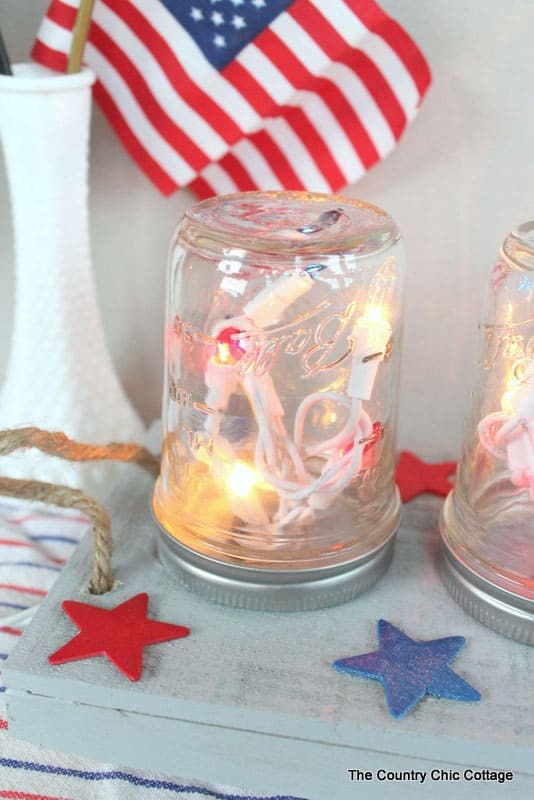 What simple way to turn your mason jars into patriotic candle holders! 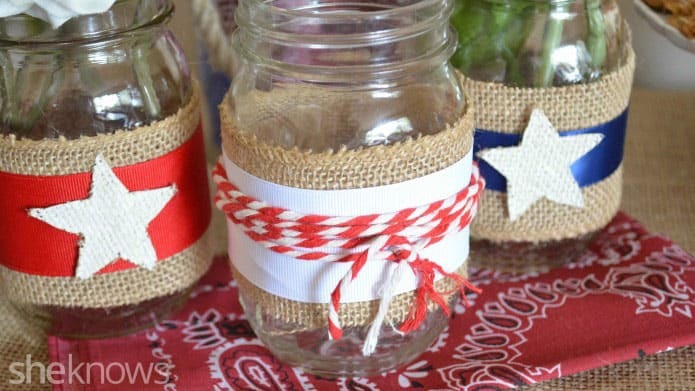 Burlap is a great base for your mason jar decorations as it adds a nice rustic feel. 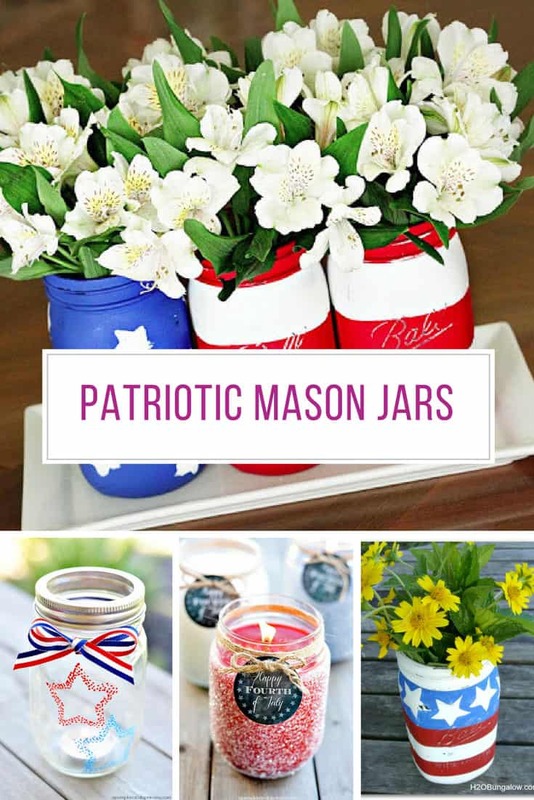 It’s time to raid that ribbon stash and make some patriotic copies for your mason jars! 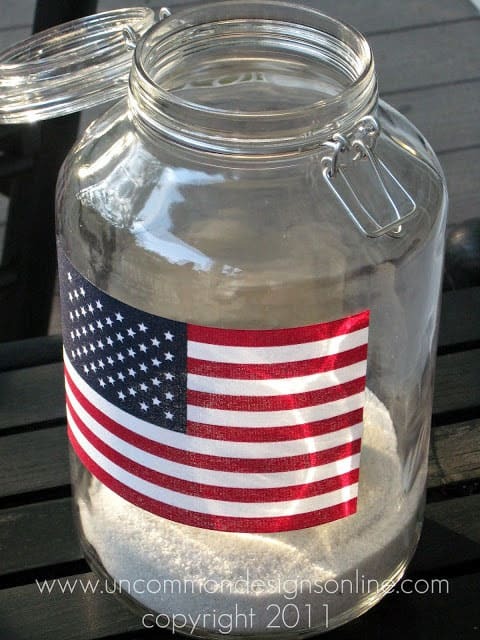 If you’re short on time try this simple craft that just needs a flag. 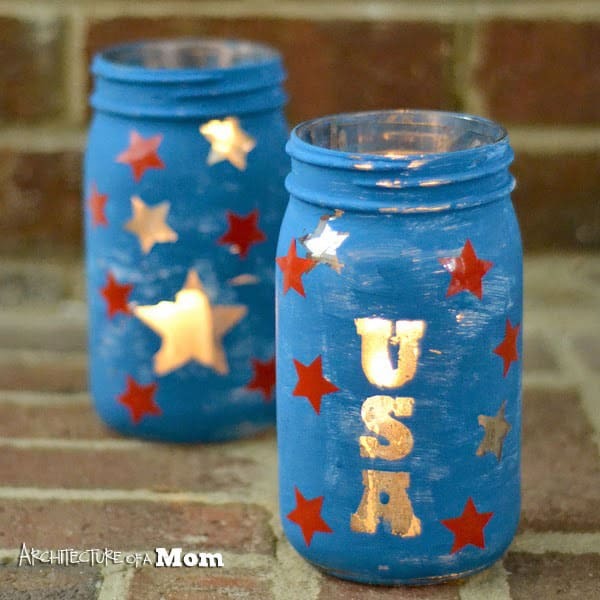 Grab your red, white and blue spray paint and get to work! 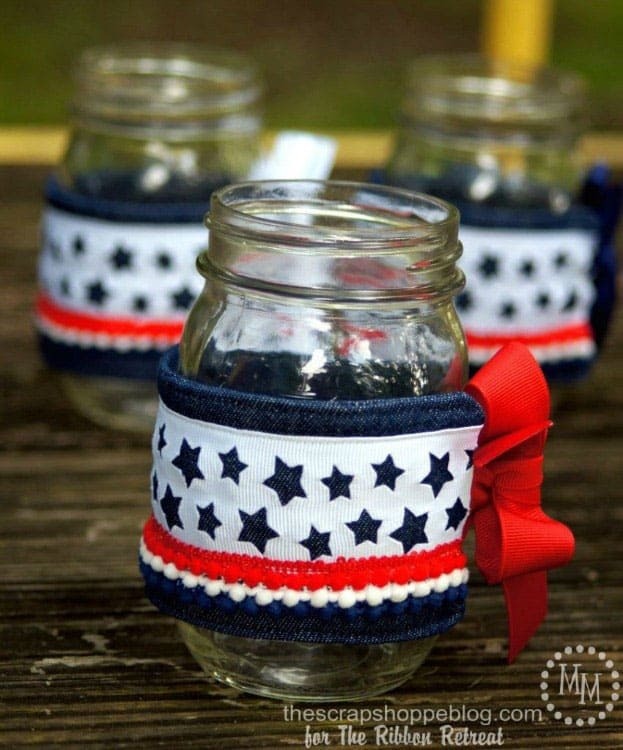 This red glass effect is gorgeous and the stars add a patriotic feel to your mason jar. 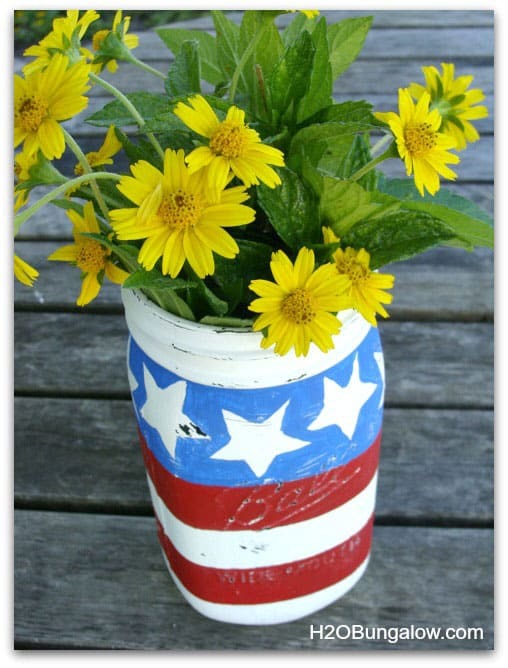 Watch the video tutorial below to see how it’s done. 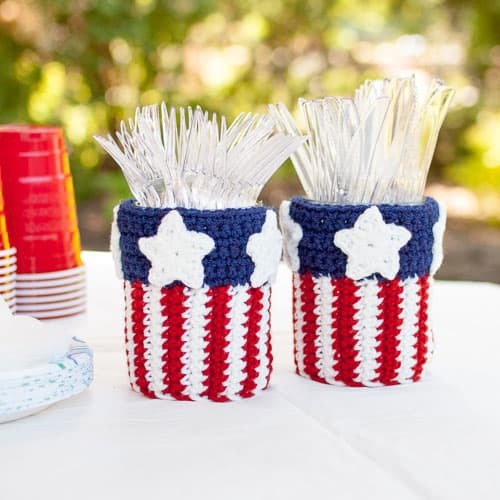 If you’re handy with a crochet hook have a go at making a fabulous patriotic sleeve for your jars and then using them as cutlery holders. 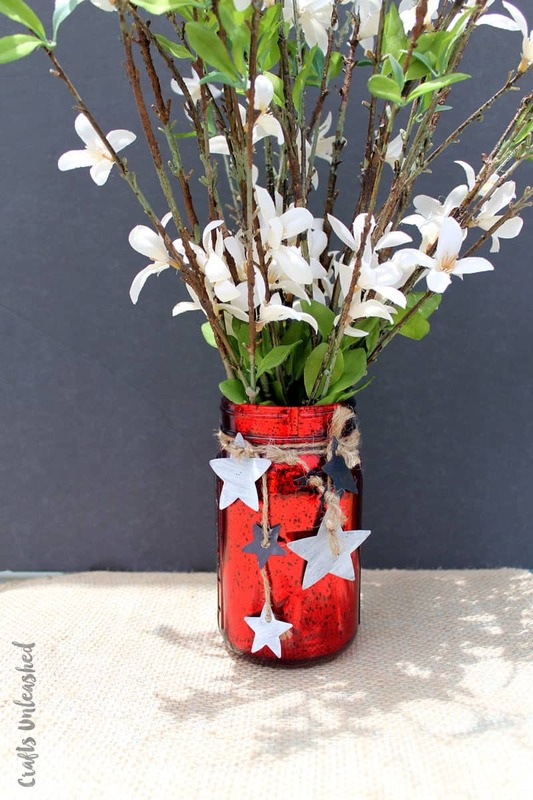 If you love mercury glass you need to check out this tutorial that shows you how to make a faux mercury glass effect in your stars and letters on your mason jar. 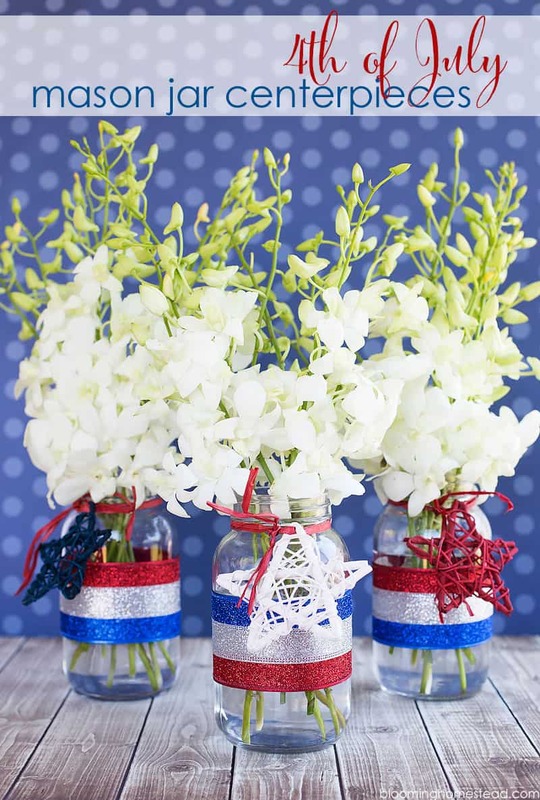 Use ribbon and twine stars to give your jars a patriotic feel and then add some gorgeous flowers for the perfect centrepiece.